CD reviews: "The Art of the Ballad," "Moanin' Blues" and "Bud Shank/Bill Perkins"
With a new medium comes new marketing possibilities for existing recordings  and ever since the advent of the CD, we've seen the reissue raised to ... well, perhaps not an art form, but at least a very successful marketing ploy. Which, in the case of jazz and classical music, can be very rewarding for those of us who weren't around to hear some of the best players of an earlier day. So in addition to every conceivable compilation of Led Zeppelin or Lynyrd Skynyrd, you can also find some nifty jazz sets originally laid down in the '50s and '60s newly repackaged in CD format. One new series from Fantasy Records, on their Prestige imprint, is "The Art of the Ballad." This series takes a look at multiple albums of each artist's career, culling the more romantic tracks into a single disc. Issued so far are sets from Art Pepper, Thelonious Monk and Kenny Dorham. 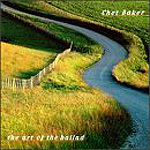 But the Chet Baker collection is certainly the lushest of the set, and perhaps the most romantic. Only two of the tracks feature Baker's broken, halting but still wonderful vocals, but his trumpet playing had those same qualities. Whether blowing or singing, Baker was at heart a romanticist, the beauty of his music emphasized all the more by the senseless tragedy of his personal life with its addictions and self-defeating choices. Even more than Sinatra (and later surpassed only by Barry White), Baker provided the perfect soundtrack for making out on the couch, and the goddess above only knows how many Americans were conceived while Chet Baker blew low and cool on the hi-fi. 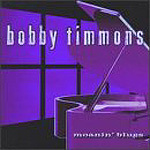 The late Bobby Timmons is one of those almost-famous jazz artists that a lot of folks think they've never heard of. Or at least never heard. But as a new compilation from a blues/jazz series from Prestige/Fantasy shows, while you may not immediately recognize Timmons' name, you do know his music. As a member of one of the most innovative versions of Art Blakey's Jazz Messengers, Timmons' piano was central to that combo's sound. As a composer, he wrote two of the classic jazz standards of all time: "Moanin'" and "Dat Dere." But even on the songs you're not familiar with, Timmons' playing will enchant. His piano is undergirded by a gentle gospel swing; his improvisation has a suppleness that lends itself naturally to the blues. Jazz fans with long memories will recognize the irony in Blue Note's latest series of reissues: West Coast Classics. During the height of the bop vs. cool wars in the '50s, Pacific Jazz and Blue Note were, if not enemies, at least polar opposites. Blue Note was New York sophisticate; Pacific Jazz was Southern California relaxed. But Blue Note's parent, Capitol, now owns the right to the defunct Pacific Jazz, and were it not for Blue Note we wouldn't be hearing some of the best West Coast recordings of that era on CD. A lot of the luminaries of that era and style have been forgotten  few of us remember Cy Touff or Jack Montrose. While outstanding musicians, they were not, however, innovators a la Miles or Trane, and history remembers the headlines. 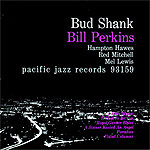 For an example of what great music was going down in the late '50s in L.A., though, check out the reissue of a 1958 album by Bud Shank and Bill Perkins. Their combo was fleshed out on most tracks by Hampton Hawes on piano, Red Mitchell on bass and Mel Lewis on drums. Shelly Manne (drums), Russ Freeman (piano) and Leroy Vinnegar (bass) also sit in on some tracks. As one would expect, the playing is fluid and in an easy groove. All the players on these sessions could improvise with the best, and the songs  by Frank Loesser and Jerome Kern and Harold Arlen and Johnny Burke, as well as Shank  were already classics in their time.